When I say You Need This, I seriously mean you need this in your life. Like, now. I’m talking about the London Brush Company Brush Shampoo – my most recent beauty discovery and one that’s shot straight to the top of my must-have list. Last weekend, I attended the United Makeup Artist Expo and was lucky enough to meet the supremely talented Sian Richards, founder of London Brush Company. LBC have an unprecedented range of truly beautiful makeup brushes, the newest addition being a purely vegan line called NouVeau. I didn’t have a lot of money on me at the Expo so unfortunately couldn’t afford to pick up any of the brushes to try, but I simply couldn’t walk away from the Brush Shampoo. This unassuming little pot might not look like much, but I am convinced that it is the secret to keeping up with brush cleaning. I am absolutely awful at deep cleaning my makeup brushes, I can so rarely be bothered and it always has to wait until a day I know I won’t be applying any makeup the following day because they always take an age to dry. Not so with this wonder product. In fact, when I cleaned my buffing brushes (which are densely packed and usually take at least 24 hours to dry thoroughly), they were dry and ready for their next use within about 4 hours while smaller, less dense eye brushes only took about an hour. Colour me impressed! You might assume that such a quick drying time is a result of using a ton of chemicals – again, not the case! 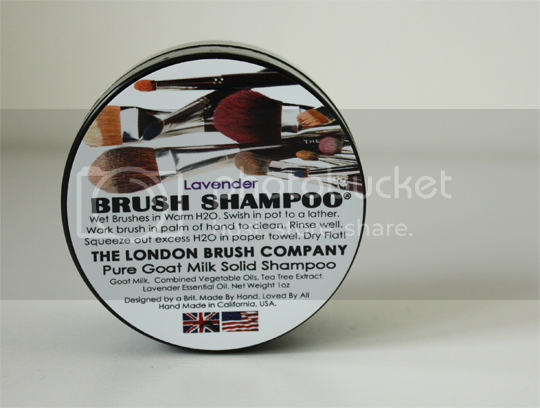 London Brush Company Brush Shampoo is made simply with pure goat milk, essential oils, organic cleansers and tea tree – so not only does it make your brushes smell divine but also completely santised, seriously soft and well conditioned. I opted for the Lavender scented one, but there’s also a Lemon one available and Natural, an unscented version. To use, just wet your brush with warm water, swoosh it round a bit on the solid shampoo and work into a lather in the palm of your hand (adding more water if necessary). Then rinse until the water runs clear, squeeze out excess water with a bit of kitchen roll and leave to dry flat. Voila! I honestly can’t get enough of this stuff. I am astounded at how quick the process is and how fast the brushes dry after using it. My hope is that it will encourage me to be much more routine and strict with my brush cleaning. I know for a fact that many of you are just as bad as me when it comes to cleaning your brushes frequently so I wouldn’t hesitate to recommend this to anyone. Everyone should have one – I’m serious! Despite London Brush Company being a British-born brand, Sian is now LA-based so the company operates out of the US. You can get the shampoo online from the US site or if you’d rather use a UK stockist, pop into Charles Fox in Covent Garden or PAM in Shepherds Bush (PAM also stock it online). PAM stock a selection of the brushes themselves too, which are worth checking out and you can bet I will be myself as soon as I have the dollar to do so! In fact, if you’re lucky enough to be a pro makeup artist, you can get 20-30% off LBC brushes all year round at their pro site. 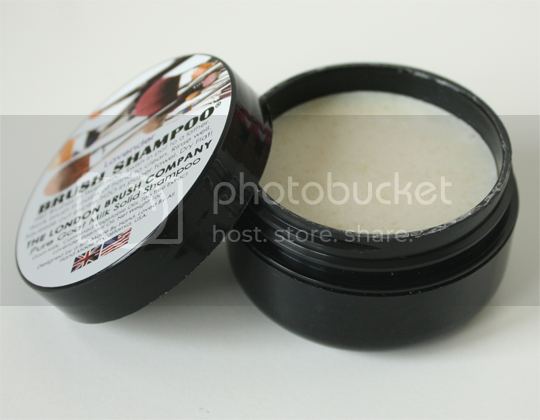 London Brush Company Brush Shampoo costs £20, and let me tell you, it’s worth every, single, penny. But… there is something very strange about this. You say you have to swoosh the brush around in the pot, which means it leaves in it a ton of makeup and bacteria – how do you clean the shampoo in the pot afterwards?! 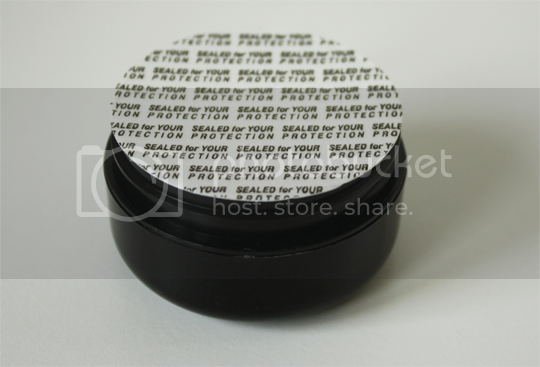 Not quite – you just need to rinse the pot under running water for a moment to get rid of any remaining makeup residue! Wow, this looks so great!! I’m a massive fan of Sian – she’s so lovely. I can’t afford her brushes (although iirc she’s bringing out a less expensive line) but I do really want to try this. This sounds gorgeous must invest! I need to try this, it sounds great!